In the Times Literary Supplement, Ian Ground appraises the work of Ludwig Wittgenstein, arguably the most important thinker of the 20th Century and since. My take: The drive to replace insight with quantitative outcome in psychotherapy was a wrong turn. As a follow up to the previous post on Peterson, a reader pointed out that Jonathan Foiles (the author of the critique) seems a much better therapist than Peterson. 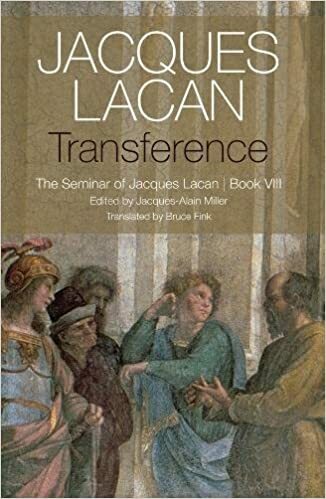 Based on this post at Psychology Today, in which Foiles comments on Lacan’s Seminar VIII, I have to agree. It points up the seriousness of maintaining therapeutic boundaries. Disclosure: Some links are affiliate links in which I, at no cost to you, receive compensation for purchases you may make off this site. Salon published an opinion piece looking at Jordan Peterson apparently working as a therapist. The result wasn’t pretty. He doesn’t strike me as a “therapist “ at all. He isn’t addressing the other person’s existential situation, except to reinforce maladaptive thoughts (and likely related behaviors) about the world. Not clear how the interchange will be helpful. Peterson is functioning from a narcissistic stance. He is sharing his own narcissistic injury and animosity toward women with the patient with no “growth” or “change” narrative or suggestions. Bah! I am a Licensed Clinical Social Worker in New York City. Educated at McGill University, Parsons School of Design and Stony Brook University, I have many years of experience with assisting people struggling with depression, anxiety, and substance use. My passion is the treatment of the working artist, photographer, designer, performer.